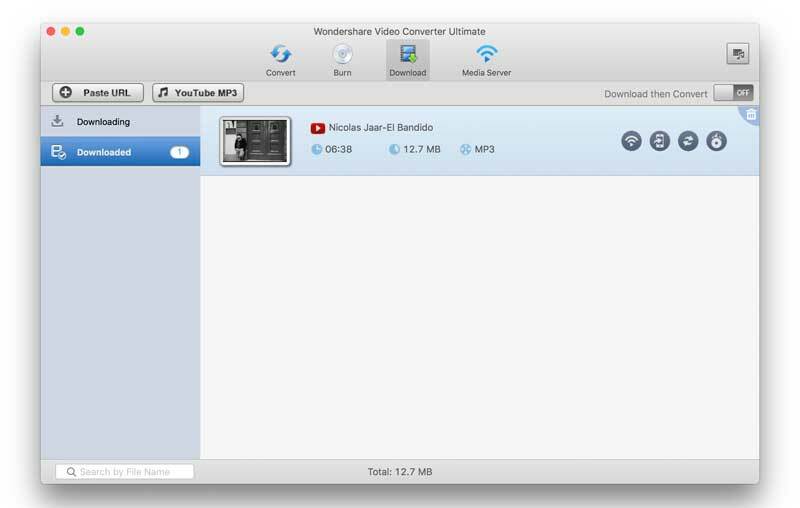 Wondershare Video Converter Review – Is it worth it? We don’t convert videos as much as we used to do it a decade ago, but certainly, there are times when we all need a good video converter. Maybe you want to keep all your movie and TV show in one format so that you can easily stream them on your network, or maybe your video editing software (like FCP) doesn’t import certain video format (like Avi). Up until now, I was using Handbrake – a free open source video converter and it’s pretty good. 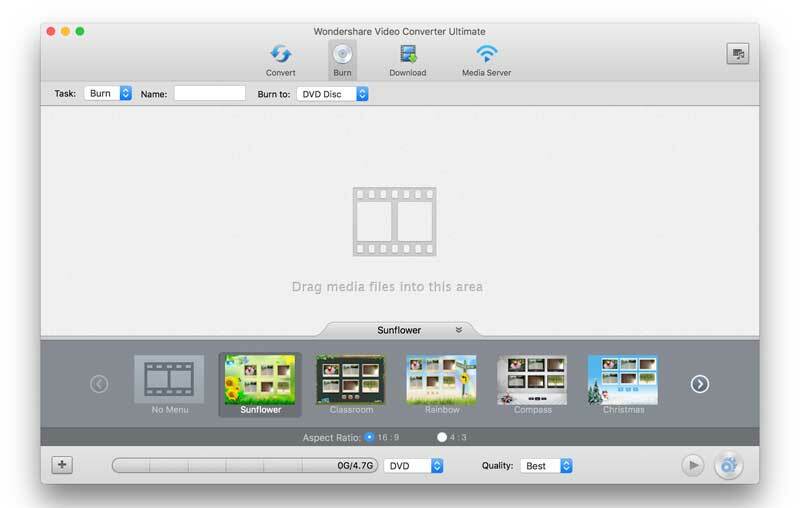 But recently folks over Wondershare reached out to us for a review on Video Converter Ultimate for Mac. It’s a video converter packed with many other useful options like – burn, basic video editor, download and convert YouTube videos and a media server. But as good as it sounds, a one year license of Video Converter Ultimate cost $40. And while, there are several ways to convert a video, like you can use a VLC media player, Handbrake, FFmpeg (most video converter uses FFmpeg library btw), but for simplicity of this post, we’ll compare Wondershare video converter with handbrake. So, does it make sense to buy a paid video converter, when there are some good ones available for free? Well, let’s find out. Verdict: When it comes to layout and design, the Wondershare video converter is better than free video converters like handbrake, format factory or FFmpeg command line. 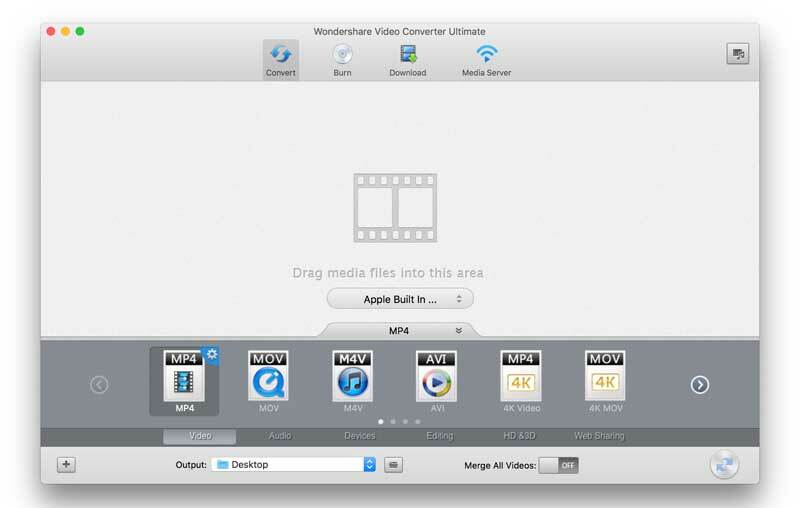 To test performance, we compressed few videos from both Wondershare video converter and handbrake. And here are the results. We tested with both MOV to mp4 and Avi to mp4 and the results were same as MOV. Handbrake was twice as fast and final file size half of what we get from Wondershare video converter. Verdict: Handbrake has better compression both in term of final file size and time was taken. 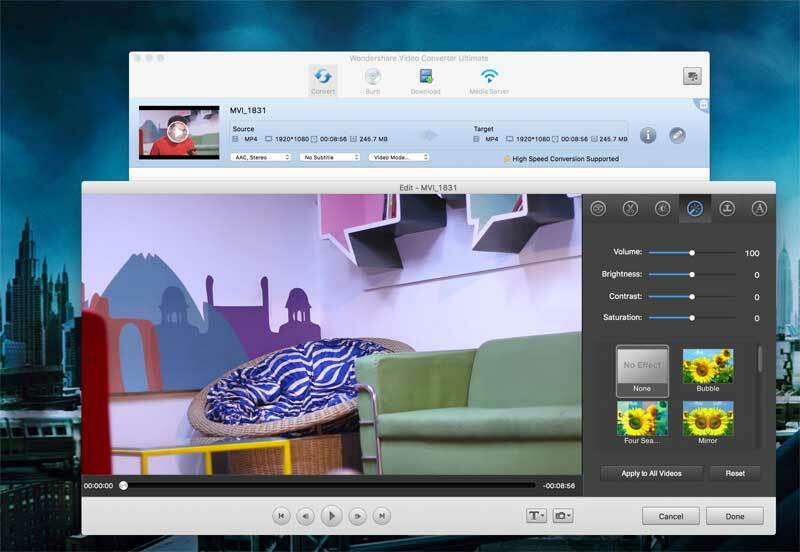 Features are where Wondershare Video Converter really shines. Apart from being a video converter it also sports a DVD burner, YouTube downloader, and media server. Let’s take a look at them one by one. Video Converter – While the video converter doesn’t perform as good as Handbrake, it does have some useful that were missing in handbrake. 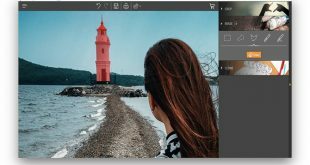 For instance, if you are not sure what format is supported in like FCP or what format can you iPhone play, you can simply choose the desired options under Devices and Editing option at the bottom. You can also extract audio out of video files or even merge all video together. Edit Videos – this edit video option is easy to miss, once you import your videos, click on the small pencil icon at the right side. You can do basic video editing like – trim, cut, crop, filters, and add watermarks etc. Burn – these features give you option to burn videos to DVD/CD drive, though I’m pretty sure most people don’t burn CD these says. 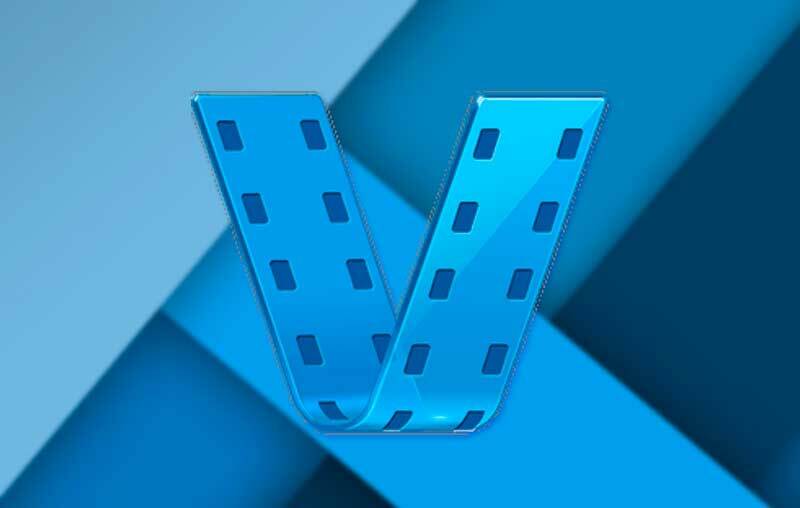 Download – since KeepVid is own by Wondershare, they have also incorporated the option to download videos from youtube and convert them as they go. We tried downloading the playlist and converting them to mp3; it worked fine. Media Server – with this you can stream the videos from Wondershare Video Converter to your TV if you have anyone of these – chromecast, xbox360, apple tv, ps4 etc. You can find the full tutorial here. 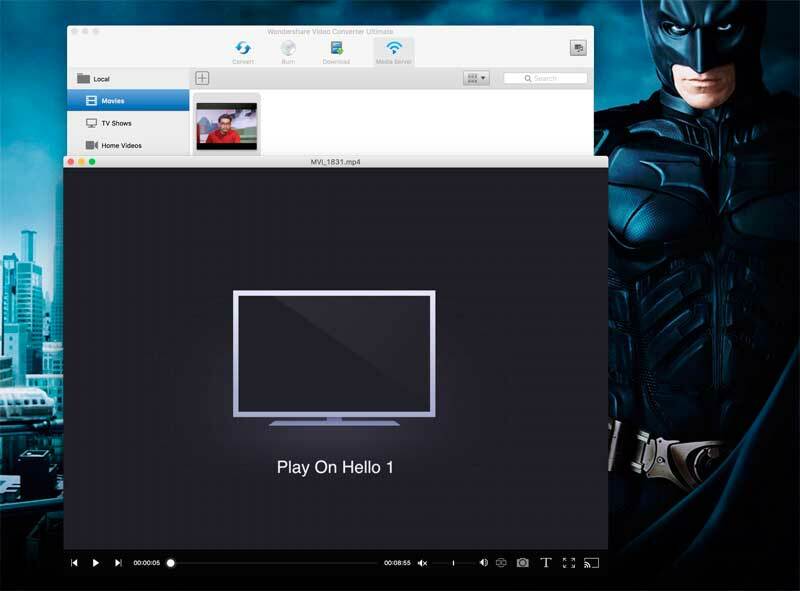 Verdict – Wondershare Video Converter is defiantly the king when it comes to extra features. 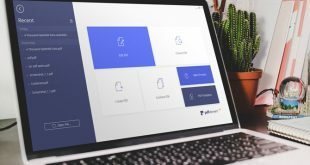 So, is Wondershare video converter worth buying? Handbrake being a freeware does have cost benefits, but paid software have more features. So, is the extra features worth your hard earned cash? Well, it depends on what you are using video converter for. If all you want is converting video from one format to other, then sticking handbrake is a better deal. However, if you looking forward to using your video converter in conjunction with YouTube downloader, simple video editor, media server etc, then Wondershare video converter make sense. 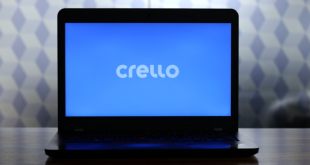 The software looks neat, stable, and all features work as they claimed. You can get the trial version of Wondershare (has to limit to each feature) or buy the complete back from its official website. This is a Sponsored post by Wondershare.